MTV's Scream series trailer revealed! I am SO excited to check this out. New art and teaser for Starz's Ash VS. Evil Dead. Human Centipede III trailer released! Cryptocurium Creations announced the 8-bit Freddy and Jason magnet set AND the Packet of Terror this week! 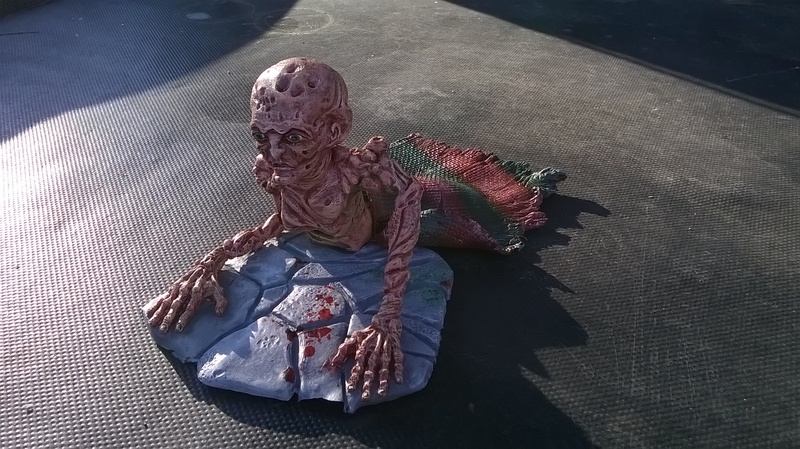 I was so thrilled to receive this month's Parcel of Terror from Cryptocurium Creations! As you guys know, tomorrow night (Friday, April 10th at 6pm CST) I'm doing a LIVE Google Hangout with Girl Terror friends Johnny Tellez the Hyper Geek, Candy Corn Apocalypse's Anthony Rapino, and Jason McKittrick of Cryptocurium. Each of us received our boxes a little early to unbox prior to the hangout so we can spend a little more time talking with Jason and answering your questions. Head over to the event page to RSVP and enter to win TWO EXCLUSIVE MAGNETS from Cryptocurium! David Lynch on the Twin Peaks reboot: "I left because not enough money was offered to do the script the way I felt it needed to be done. This weekend I started to call actors to let them know I would not be directing." Etheria Film Night headliner announced. Indiegogo: Scary Stories: A Documentary explores the gothic children's classic. Fund before April 27th, 2015! Candy Corn Apocalypse's Anthony Rapino released a pre-order for his much anticipated Baby Freddy sculpture, as well as a Candy Corn Apocalypse Army magnet. Head over to his Storenvy to order both! 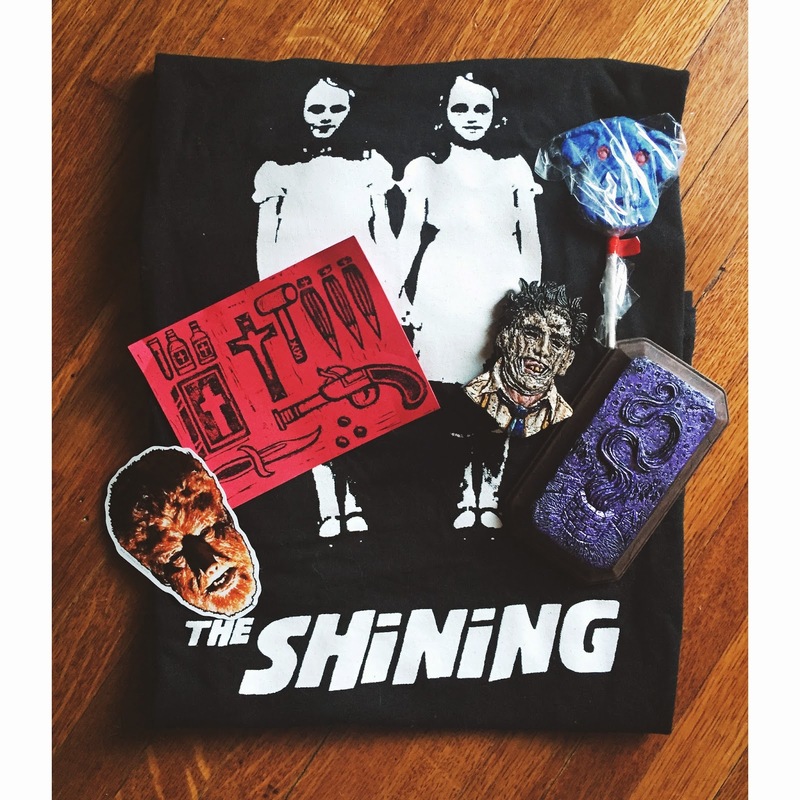 Middle of Beyond launched a handful of rad horror themed blankets. My favorite is The Hotel Blanket, but the Cthulu and alien blankets are pretty cool, too! Tittybats made a super fun Jason Vorhees inspired patch. I LOVE Tittybats and you can't beat a $6 patch from an independent artist. Go buy 100 of them! 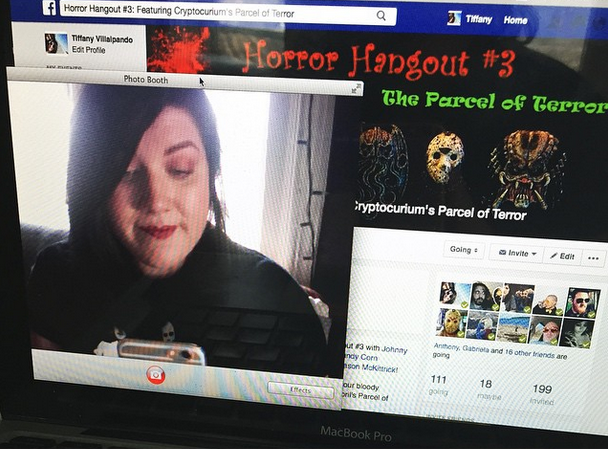 Friday, April 10, 2015: Horror Hangout 3, featuring Johnny Tellez the Hyper Geek, Candy Corn Apocalypse, and Jason McKittrick of Cryptocurium: Custom Creations. Hang out as we discuss the Parcel of Terror and answer your questions LIVE! Head over to Facebook to RSVP! Take a listen as we chat about one of our favorite women in horror, Jessica Cameron, and her 2013 film TRUTH OR DARE. The beginning of the recording is a spoiler free zone, and a warning tells you when we hit spoiler territory. This track is downloadable if you'd prefer to save it for your commute. Enjoy!